NINE long years after the foundation for the Diego Martin Sporting complex was built, it was officially opened to the public yesterday. The state of the art complex with an estimated cost of $115 million was constructed by SRI Construction Limited. Speaking at the opening of the complex, Prime Minister Dr Rowley told residents completion of the facility is graphic representation that politics is about interest. Rowley said if people do not vote in defence of their own interest, they may end up being irrelevant in the political space. He said the foundation for the facility was completed in 2010 and the next time a workman appeared on the site was in 2016. “The government of the day determined for five years that this facility was not necessary and it was not a priority. Out of evil commeth good. Having to return to the project under an administration that understands the need for a facility like this, what we have been able to do is redesign and upgrade the offering and build for you not just a recreation ground but a sporting complex that you are sitting in today. “Nothing happens before its time. And Diego Martin time has come today. You have gotten the best.” He urged the adults to regard the facility as a major investment made by the people of this country for the use, the benefit and the development of their children and grandchildren. He urged parents to encourage their children to take part in sport and most importantly if they demonstrate talent and attitude they will get the support to work with the sporting administrators. 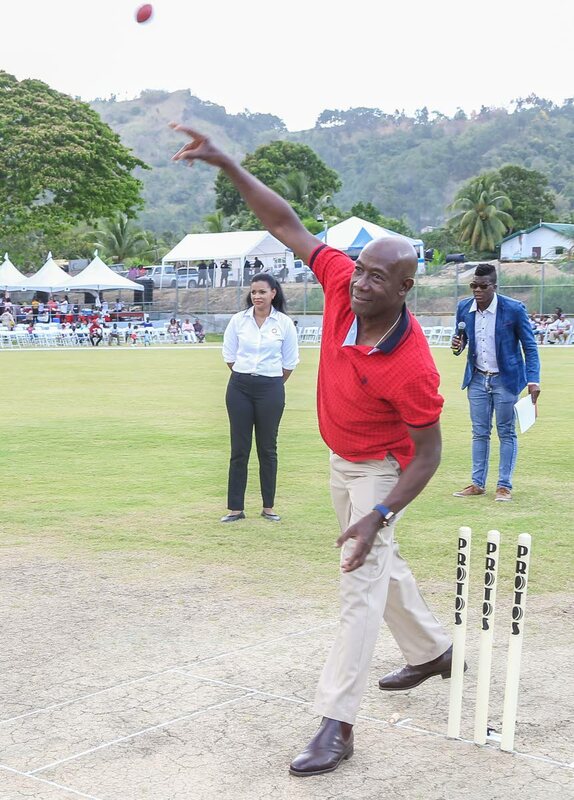 “I don’t have a crystal ball, but I can tell you one thing, I have every expectation that in some time in the not too distant future, on this ground, will be nurtured and presented national players, other West Indian players and other world beaters coming out of Diego Martin. Rowley asked the community to ensure they all participate in the up-kept of the facility, treat it with respect and never be afraid to speak up when someone is seen taking advantage of the facility. Reply to "Take full advantage of new sporting facility"